Peterborough City Council leader cllr John Holdich’s weekly column. I read in the national media this week that councils have closed nearly 350 libraries across the country and a further 111 are planned this year. How sharply this contrasts with our own city’s libraries which, despite swinging cuts to local authorities by this government, are not only being kept open but we’ve also found ways to keep them open for longer and attract more people to use them! 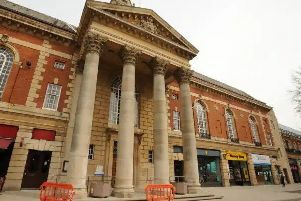 The latest initiative by the council, working in partnership with Vivacity, is building on the success of its Open+ library technology and rolling out free Wi-Fi connectivity across 11 of the city’s libraries, from the beginning of this month, funded via an Arts Council grant of £25,000. From 1st April, visitors will be able to connect to the internet via their own tablets, laptops and mobiles, making our libraries ideal places to work quietly or study. Out of the city centre, the mobile library services are still regarded by many rural folk as a vital front-line service and my commitment to this is well known. I have the privilege of chairing the Peterborough Health and Wellbeing Board. This is a statutory board which brings together health and social care professionals, and whose purpose is to ensure the relevant groups are working together efficiently to improve the health of Peterborough residents. At last week’s meeting I was impressed to hear of the progress being made improving services for us all. Our GPs are now really working together to give patients a 7-day access to medical services, 8am to 8pm, meaning residents won’t have to go to the hospital for minor ailments, reducing both the pressure on our hospital and costs. Our Children in Care are now also benefitting from this close working relationship of our health professionals and regular health assessments are now significantly more frequent than before. The city council is also leading a programme, alongside health commissioners and providers, and Cambridgeshire County Council, to develop earlier intervention for the emotional health and wellbeing of children and young people in our city. This will see more counselling for children, better support for parents through parenting programmes and support from our parent representative group, Family Voice. Being proactive about health issues and awareness is something we take very seriously. Our Health Protection Committee continue to monitor the health of city residents and actively raises awareness about important preventative measures like vaccination and immunisations, the value of a good diet and regular exercise and screening for cancers and other diseases. Our Director of Public Health has worked with other health and care specialists to develop what’s called the Joint Strategic Needs Analysis – a document which details in what areas the health of Peterborough’s residents is good and areas for improvement. This is a very valuable piece of work to help focus both attention and resources in the coming year. The Health and Wellbeing Board is actually a town hall meeting open to the public, and I would welcome and encourage anyone to come along to see the great work people are doing to help improve the health of the city being discussed. Lastly – Can I remind residents to register to be able to take part in May’s democratic process, the city elections. Information is available on the council’s website. It’s your city, so be a part of it.